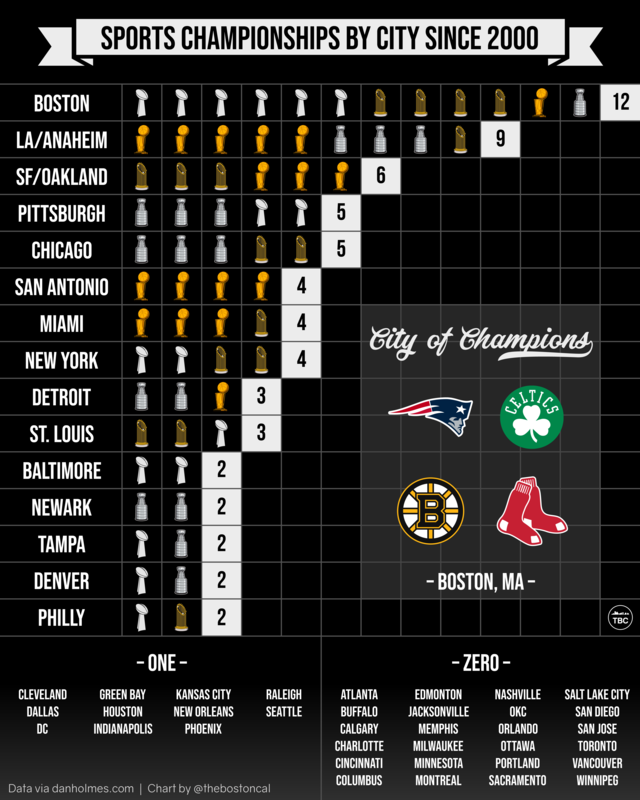 I wanted to visualize sports championships in Boston this century vs. everywhere else, so I made a graphic. The graphic shows all titles won in the four major sports from 1/30/2000 to 2/3/2019. Special thanks to Dan Holmes for providing the necessary data to fill in the chart (or “trophy case”). He previously posted a similar article on Medium here. See and/or download a high-resolution version of the graphic here.